The new tax year has arrived and SalaryBot is now updated the 2018/19 tax year. To celebrate, there are now more new features released than you can shake a stick at. Keep your eyes peeled today in London for one of the SalaryBot ambassadors who’ll be sharing the new tax year happiness. With the new tax year increasing personal allowance by £350, and the tax band thresholds increasing, most people can expect an increase in take home pay. 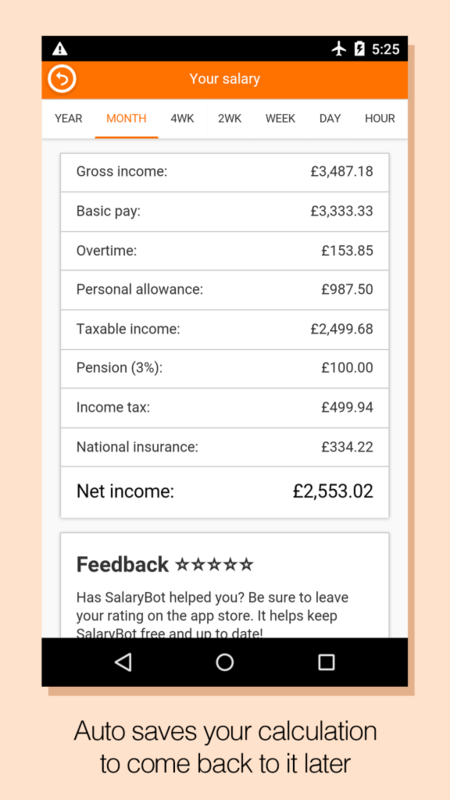 Use SalaryBot to find out how much your take home pay will change. Don’t forget to share your favourite salary calculator with your family and friends today if they want a heads up on their take home pay. Spread the new tax year love. 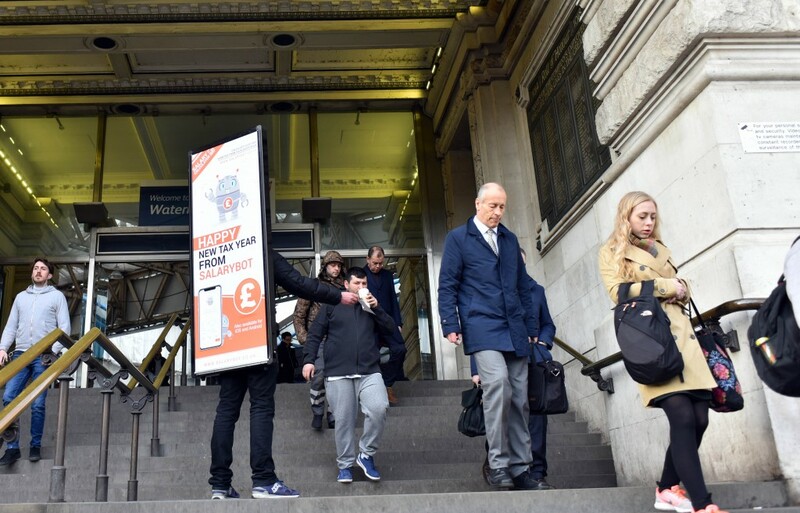 To help make the public aware of the immediate change to take home pay across the UK, a SalaryBot ambassador is posted in London today. If you see him be sure to stop for a selfie! To celebrate the new tax year, the apps for iOS and Android have both had a major revamp. New design: Can you believe it’s been six years since the apps launched? Well, you probably could from the design. They now have a fresh look that’s more inline with the website and overall branding. As more options have been added over the years, it’s slowly become more overwhelming for core users. In response, many options have now been tidied away under “advanced options” in order to de-clutter the design. Autosave: Recently made available on web and now arrives for the apps. Entering your salary details will be a thing of the past. Input once and just hit the calculate button in future. Monthly overtime: It took a while but after many user requests, SalaryBot delivered. You can now calculate monthly overtime from the apps (coming soon on web). 2 weekly/4 weekly calculations: Popular with shift workers, SalaryBot can now report on 2 weekly and 4 weekly periods. Weeks per year: Now configurable for workers who aren’t contracted to work every week of the year. Thanks for all the support and continued use of SalaryBot. Updates and improvement will continue to flow, as long as you keep using it, and making your friends/family do the same! This entry was posted in Apps, Salary calculators, Tax by admin. Bookmark the permalink.